Birthdays are a time to celebrate and how awesome to celebrate with this colorful seven layer rainbow cake topped with buttercream icing and chocolate. Beat 250g butter with 250g castor sugar until white and creamy. Add 4 eggs, one at a time, beating well. Add 1tsp vanilla essence and 250g sifted self-raising flour. Add coloring (rainbow) to each. Place batter into greased pans and bake in preheated oven at 180C for 10 to 15 minutes or until cooked. Beat 250g butter until creamy. Ice cakes when completely cooled and decorate with sweets, candies, and chocolates! 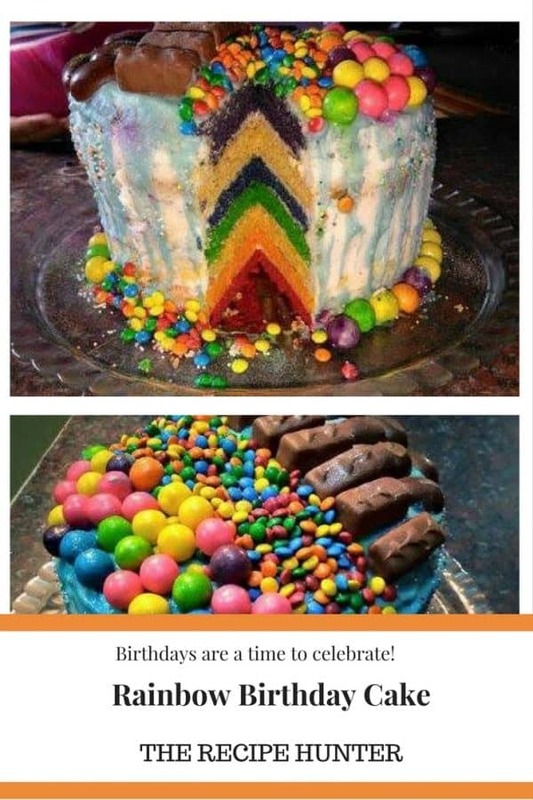 Wow that is an awesome cake!